National Security Adviser Herbert Raymond McMaster is holding a press briefing. McMaster will speak about media reports that Trump allegedly passed secret info to Russian Foreign Minister Sergei Lavrov. McMaster commented on media report claming that President Donald Trump had allegedly shared classified information with Russian diplomats. On Monday, the Washington Post reported that Trump told Russian Foreign Minister Sergei Lavrov and Ambassador to the United States Sergei Kislyak information about a terror threat involving laptops on airplanes. The information reportedly came from a US partner through an intelligence-sharing agreement. He said that the claim is "completely false," adding that Trump discussed "wholly appropriate information" he thinks would advance national security with Russian Foreign Minister Sergei Lavrov. "In the context of that discussion, what the president [Trump] discussed with the foreign minister [Lavrov] was wholly appropriate to that conversation and is consistent with the routine sharing of information between the president and any leaders with whom he is engaged," McMaster stated. He said that the real threat is that there have been leaks concerning the work of the White House not shared with the public and it puts the US national security at risk. "I think national security is put at risk by this leak and by leaks like this and you know there are a number of instances where this has occurred and I think it’s important to investigate these sort of things and to make sure that we have trusted organizations across our government that allows for the free sharing of information and collaboration," McMaster stated. McMaster said that Trump's conversation with Russian diplomats had been aimed at encouraging coordination over Daesh. "Trump was emphasizing we have an area of cooperation with transnational terrorist organizations, ISIS [Daesh] in particular, an organization that already taken down Russian airliner," McMaster stated. "So this was the context of the conversation." He said that the topic of discussion between Trump and Lavrov has been previously discussed with US allies. The issue concerned a threat to aviation, according to McMaster. He said that Trump "did not compromise any sources of methods of gathering [classified] information." "The president wasn't even aware of where this information came from," McMaster stated. "He wasn't briefed on the source and method of the information either." "I stand by my statement that I made yesterday. 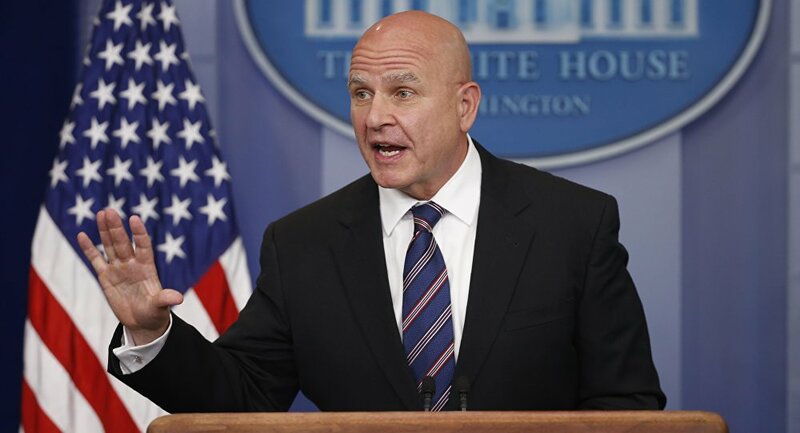 What I am saying is really the premise of that article is false, that in any way the president had a conversation that was inappropriate or that resulted in any kind of lapse in national security," McMaster stated. Following the media reports, McMaster stressed earlier that Trump has not revealed any intelligence sources in the conversation at the White House last week. 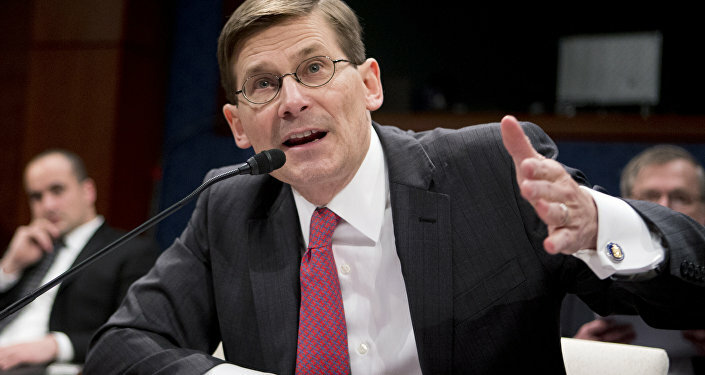 The officials spoke about threats from terrorist organizations, including threats to aviation. Deputy National Security Adviser Dina Powell in a statement refuted the media claims and called the story "false." Later, Trump himself took to Twitter and said that he had every right to share information on terrorism and the safety of flights with Russian officials. Kremlin's spokesperson Dmitry Peskov echoed the sentiment, calling the allegations that Trump shared secret information with Russian officials "absurd." On May 10, Trump met with Lavrov and Kislyak at the White House. The two Russian diplomats also held a meeting with Secretary of State Rex Tillerson and discussed global terrorism, Syria, Ukraine as well as bilateral relations. What is on the Table for Erdogan, Trump During Upcoming Meeting?